As I’ve stated before, I consider myself a fantasy guru. For as far as I can remember, I don’t believe I have ever missed fantasy playoffs in a league that I took seriously. I don’t finish in first place every year, but I sure as heck never finish below fourth place. A huge reason is for this is researching sleepers for the year. Sleepers can give your team a complete 180 degree turn mid-season. Last year, you saw guys like Brandon Lloyd, Hakeem Nicks, Mike Williams (Tampa Bay), and Darren McFadden go from undrafted/late-round draft picks to top ten fantasy studs. Doing your research is key, so I’ll help you out a bit by giving you my predictions on who can help you win your league. Why you should draft him: The corpse of Jeremy Shockey is finally gone, and now the former University of Miami (FL) basketball/football standout has his chance to shine. 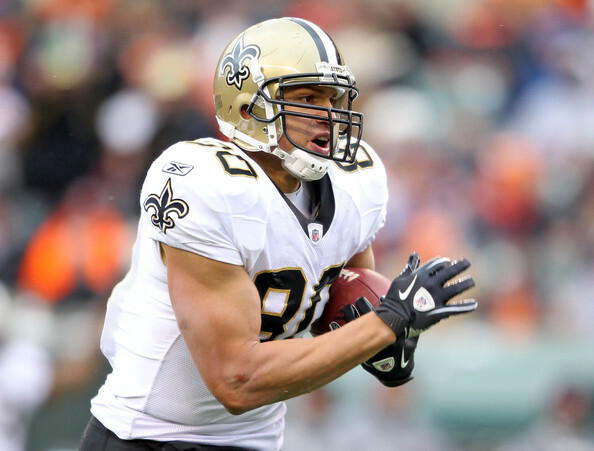 According to ESPN, the Saints attempted 661 passes in 2010, the second most in the NFL. Not only that, but 23 percent of the time those passes were to the TE. It’s also important to note that in the last three games of the season, Graham had 11 receptions and four touchdowns. You can snag this guy around the twelfth round, and he’ll likely finish top five amongst TEs this year if all goes as planned. Why you should draft him: In all honestly, you probably don’t even need to draft Hunter as he’ll likely be available in the free agents list. 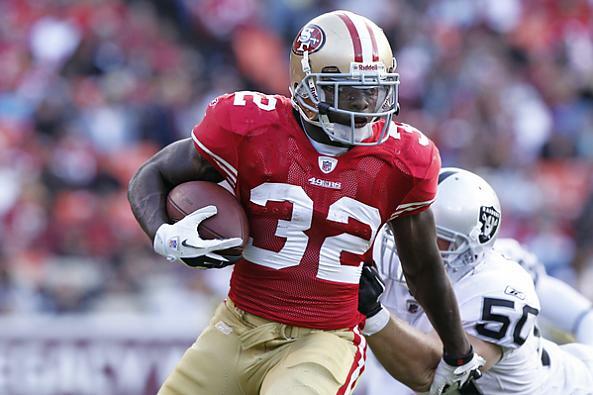 Frank Gore has only played a full season once in six years, so having Hunter on your team likely means he’ll get at least a start or two during the season. Why you should draft him: Yes, his quarterback situation is iffy, but Thomas still managed to catch 66 passes and snag four TDs playing behind Mike Sims-Walker. With Sims-Walker in STL, Thomas is in the driver’s seat in Jacksonville and should undoubtedly improve upon his impressive sophomore season. Why you should draft him: If you haven’t been following the pre-season, all you need to know is that Hightower has been absolutely beastly. He has averaged 6.8 yards per carry (albeit with only 25 carries) and has scored three times in three preseason games. Don’t forget that Coach Mike Shanahan has a knack for utilizing his runningbacks to their full potential, and frankly, it’s looking like Hightower’s year. Why you should draft him: The rookie out of Syracuse is poised to become Indy’s goal line back due to his aggressiveness and physicality running the ball. Take a late-round flier on him, as he should be due around six to possibly even ten touchdowns this year, with the exception of low yardage per game. Javarris James even managed to score six touchdowns last year in the same role. Why you should draft him: Look, “Super Mario” may not be a sleeper, per se, but I think this is a guy who is very undervalued in almost every league. Eli Manning is due for at least 25-30 touchdowns per year, and we all know Hakeem Nicks won’t be getting every single one. Manningham is going in rounds 7-10 in a lot of leagues, and will likely finish ahead of a lot of the receivers going ahead of him. Why you should draft him: Sims-Walker seems to be the number one wideout in the promising Rams’ offense. Quarterback Sam Bradford is bound to have a breakout year, and Sims-Walker will be his top guy. Why you should draft him: After news broke that Rashad Jennings will be out for the entire season, Karim looks like a solid flier in leagues with 12+ teams. We all know the deal with Maurice Jones-Drew, and if does end up going down, Karim’s value will skyrocket. Why you should draft him: As stated before, Cook was compared to the likes of Calvin Johnson when he got drafted in 2009. Cook stands at a tall 6-5 and ran a 4.49/40. Also, he now has Matt Hasselbeck in the pocket, and he loves his tight ends. Cook also finished the season strong, catching 15 passes for 196 yards and a touchdown in his final three games last season. Why you should draft him: Freeman has been going anywhere from rounds 6-10, which may look a little late by the end of season. Freeman is getting overlooked despite throwing only 6 INTs last year, which was second to only Tom Brady. Efficiency pays off in fantasy, and Freeman is exactly that. Why you should draft him: The rookie looks to be starting along side Mohamed Massaquoi and can make for a viable slot receiver for the improving Colt McCoy. Should be drafted in late rounds of deep leagues. Why you should draft them: The Browns might not be the most menacing defense out there, but looking at their first two month’s worth of match-ups, they look like a viable option for anyone in need of a defense. They play a weak Bengals team week one, followed by a Kerry Collins-led Colts’ offense, followed by the Dolphins and Titans. Weeks 6 through 8 have them facing Oakland, Seattle, and San Francisco.